Sea Limited (NYSE: SE) shares climbed 34.94 percent to close at $21.86 on Wednesday after reporting Q4 results. Tandem Diabetes Care, Inc. (NASDAQ: TNDM) climbed 25.2 percent to close at $61.86 after reporting a fourth-quarter earnings beat. The company issued strong full-year 2019 sales guidance. MercadoLibre, Inc. (NASDAQ: MELI) shares climbed 20.89 percent to close at $446.68 after reporting better-than-expected Q4 results. ASLAN Pharmaceuticals Limited (NASDAQ: ASLN) gained 19.5 percent to close at $3.80 after reporting a partnership with BioGenetics Related to commercialization of varlitinib in South Korea. Versum Materials Inc (NYSE: VSM) gained 18.67 percent to close at $49.13 after Merck announced a proposal to buy Versum for $48 per share. Frontier Communications Corporation (NASDAQ: FTR) shares climbed 17.93 percent to close at $2.96 on Wednesday after the company reported Q4 results. Xunlei Limited (NASDAQ: XNET) gained 17.78 percent to close at $4.77. Dril-Quip, Inc. (NYSE: DRQ) gained 17.58 percent to close at $43.35 after the company reported better than expected Q4 EPS and revenue results. The company also announced a $100 million buyback. Telaria, Inc. (NYSE: TLRA) rose 17.53 percent to close at $5.70. MeiraGTx Holdings PLC (NASDAQ: MGTX) gained 16.8 percent to close at $15.50 after announcing Johnson & Johnson's investment division bought $80 million of stock in the company at $13.80 per share. Diffusion Pharmaceuticals Inc. (NASDAQ: DFFN) climbed 16.61 percent to close at $3.65. Ocwen Financial Corporation (NYSE: OCN) rose 15.18 percent to close at $2.20 following Q4 results. Ionis Pharmaceuticals, Inc. (NASDAQ: IONS) gained 15.12 percent to close at $70.94 after the company reported better than expected Q4 EPS and sales estimates. The company also issued strong FY19 guidance. Horizon Global Corporation (NYSE: HZN) gained 14.8 percent to close at $2.79. Best Buy Co., Inc. (NYSE: BBY) rose 14.11 percent to close at $68.82 after the company reported stronger-than-expected results for its fourth quarter. Supernus Pharmaceuticals, Inc. (NASDAQ: SUPN) shares rose 13.86 percent to close at $41.99 following upbeat quarterly results. GW Pharmaceuticals plc (NASDAQ: GWPH) rose 13.8 percent to close at $173.99 following Q1 results. Clean Harbors, Inc. (NYSE: CLH) gained 13.43 percent to close at $68.07 after the company reported better than expected Q4 EPS and revenue results. GCP Applied Technologies Inc. (NYSE: GCP) shares jumped 13.31 percent to close at $29.79 after reporting upbeat Q4 earnings. Clovis Oncology, Inc. (NASDAQ: CLVS) shares rose 13.17 percent to close at $29.48 following upbeat quarterly sales. McGrath RentCorp (NASDAQ: MGRC) gained 13.07 percent to close at $60.29 following better-than-expected Q4 results. 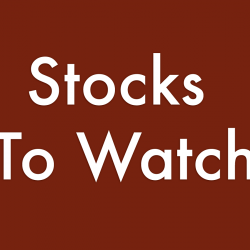 Overstock.com, Inc. (NASDAQ: OSTK) shares climbed 12.94 percent to close at $20.08. 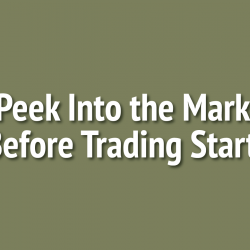 Corvus Pharmaceuticals, Inc. (NASDAQ: CRVS) gained 12.44 percent to close at $4.97. frontdoor, inc. (NASDAQ: FTDR) shares rose 12.18 percent to close at $31.60 following strong Q4 results. CoStar Group, Inc. (NASDAQ: CSGP) rose 11.76 percent to close at $454.33 after the company reported better than expected Q4 EPS and revenue results. The company also announced strong FY19 guidance. Voyager Therapeutics, Inc. (NASDAQ: VYGR) gained 11.46 percent to close at $15.46 following Q4 results. SunOpta Inc. (NASDAQ: STKL) surged 10.82 percent to close at $2.56. Callon Petroleum Company (NYSE: CPE) shares rose 10.44 percent to close at $7.72 after reporting Q4 results. Eidos Therapeutics, Inc. (NASDAQ: EIDX) gained 10.34 percent to close at $19.32. Chesapeake Energy Corporation (NYSE: CHK) rose 10.27 percent to close at $2.9000 after reporting upbeat Q4 results. Campbell Soup Company (NYSE: CPB) gained 10.03 percent to close at $36.21 following quarterly results. Realm Therapeutics Plc (NASDAQ: RLM) rose 9.52 percent to close at $2.99. Office Depot, Inc. (NASDAQ: ODP) shares rose 9.48 percent to close at $3.58 after reporting upbeat quarterly earnings. IMAX Corporation (NYSE: IMAX) shares jumped 8.73 percent to close at $22.66 after reporting Q4 results. Sarepta Therapeutics, Inc. (NASDAQ: SRPT) rose 8.31 percent to close at $151.68 after the company exercised the option to acquire Myonexus Therapeutics for $165 million, including its portfolio of five gene therapy candidates to treat forms of muscular dystrophy. Palo Alto Networks, Inc. (NYSE: PANW) rose 8.21 percent to close at $254.88 after the company reported Q2 EPS and sales that beat estimates. The company also announced a $1 billion buyback. Jazz Pharmaceuticals PLC (NASDAQ: JAZZ) rose 7.88 percent to close at $137.83 following a fourth-quarter earnings beat. The company issued strong full-year 2019 sales guidance. Retrophin, Inc. (NASDAQ: RTRX) rose 5.72 percent to close at $22.56 after the company beat Q4 EPS estimates. The Middleby Corporation (NASDAQ: MIDD) gained 5 percent to close at $125.22 after the company reported better than expected Q4 EPS and revenue results. Autohome Inc. (NYSE: ATHM) rose 5 percent to close at $94.82 after the company reported better than expected Q4 EPS and revenue results. Autohome announced Q1 sales guidance below analyst expectations. Synergy Pharmaceuticals Inc (NASDAQ: SGYP) shares dipped 65.41 percent to close at $0.0695 on Wednesday after the company announced Bausch Health would acquire its assets, including rights to TRULANCE. No party submitted a higher bid in accordance with bidding procedures established by bankruptcy court. Weight Watchers International, Inc. (NASDAQ: WTW) shares fell 34.49 percent to close at $19.37 after the company posted downbeat Q4 sales and issued weak full-year 2019 guidance. Dycom Industries, Inc. (NYSE: DY) declined 30.11 percent to close at $43.33 after the company posted downbeat Q4 earnings and issued weak Q1 profit forecast. One Horizon Group Inc (NASDAQ: OHGI) dropped 26.32 percent to close at $0.0910 after the company announced it will voluntarily delist its shares from Nasdaq. Inogen, Inc. (NASDAQ: INGN) shares dropped 24.12 percent to close at $106.28 after reporting Q4 results. Energous Corporation (NASDAQ: WATT) dropped 23.9 percent to close at $6.21 after reporting downbeat Q4 results. Energous priced its 3.33 million share registered direct offering at $7.50 per share. e.l.f. Beauty, Inc. (NYSE: ELF) fell 23 percent to close at $7.30 after the company reported downbeat quarterly sales and announced plans to close its 22 e.l.f. stores. ImmunoGen, Inc. (NASDAQ: IMGN) dipped 20.28 percent to close at $4.60. Kewaunee Scientific Corporation (NASDAQ: KEQU) shares declined 19.54 percent to close at $24.70 following Q3 results. CLPS Incorporation (NASDAQ: CLPS) dropped 18.52 percent to close at $9.77. DHI Group, Inc. (NYSE: DHX) shares declined 18.32 percent to close at $2.6300. Big 5 Sporting Goods Corporation (NASDAQ: BGFV) dropped 17.3 percent to close at $3.87 after reporting Q4 results. Planet Green Holdings Corp. (NYSE: PLAG) shares declined 16.37 percent to close at $3.2700. Systemax Inc. (NYSE: SYX) shares dropped 16.27 percent to close at $20.89 following Q4 results. FTE Networks, Inc. (NYSE: FTNW) fell 15.95 percent to close at $1.95 after jumping 112.84 percent on Tuesday. JAKKS Pacific, Inc. (NASDAQ: JAKK) dropped 15.92 percent to close at $1.69 following Q4 results. Caledonia Mining Corporation Plc (NYSE: CMCL) dropped 15.82 percent to close at $5.24. Foresight Energy LP (NYSE: FELP) declined 15.68 percent to close at $3.12 after reporting Q4 results. Loop Industries, Inc. (NASDAQ: LOOP) dropped 15.08 percent to close at $9.80 after the company announced a 600,000 direct offering at $8.55 per share, totaling $5.1 million. Mylan N.V. (NASDAQ: MYL) fell 15.06 percent to close at $26.01 after the company reported downbeat Q4 earnings and issued weak FY19 profit forecast. Forterra, Inc. (NASDAQ: FRTA) dipped 14.61 percent to close at $5.20. PGT Innovations, Inc. (NYSE: PGTI) fell 14.32 percent to close at $15.20 following Q4 results. TiVo Corporation (NASDAQ: TIVO) shares fell 13.93 percent to close at $9.58 following weak Q4 sales. Dean Foods Company (NYSE: DF) fell 13.85 percent to close at $3.9200 after the company posted a wider-than-expected Q4 loss. The company disclosed that it has commenced a review to explore and evaluate potential strategic alternatives to enhance shareholder value. Turquoise Hill Resources Ltd. (NYSE: TRQ) shares declined 12.86 percent to close at $1.83 after reporting 2019 financial guidance. Gossamer Bio, Inc. (NASDAQ: GOSS) dropped 12.6 percent to close at $20.95. R.R. Donnelley & Sons Company (NASDAQ: RRD) shares fell 11.96 percent to close at $5.52 following downbeat quarterly earnings. ARC Document Solutions, Inc. (NYSE: ARC) dropped 11.92 percent to close at $2.29. Enel Américas S.A. (NYSE: ENIA) shares fell 11.5 percent to close at $9.16. Donnelley Financial Solutions, Inc. (NASDAQ: DFIN) shares dipped 11.15 percent to close at $14.34 after reporting Q4 results. Whiting Petroleum Corporation (NYSE: WLL) fell 11.1 percent to close at $25.01 after reporting downbeat Q4 results. Benefitfocus, Inc. (NASDAQ: BNFT) fell 10.95 percent to close at $51.47 following Q4 results. Benefitfocus reported an offering of 5.7 million share common stock offering. Riot Blockchain, Inc. (NASDAQ: RIOT) dipped 10.83 percent to close at $3.21. Puxin Limited (NYSE: NEW) shares dropped 10.53 percent to close at $6.20. LiveXLive Media, Inc. (NASDAQ: LIVX) fell 10.27 percent to close at $6.03. China Internet Nationwide Financial Services Inc. (NASDAQ: CIFS) fell 9.95 percent to close at $1.90. Penumbra, Inc. (NYSE: PEN) dipped 9.87 percent to close at $132.27 after reporting Q4 results. Karyopharm Therapeutics Inc. (NASDAQ: KPTI) fell 9.84 percent to close at $4.40 after reporting outcome of FDA Advisory Committee meeting reviewing selinexor for the treatment of patients with triple class refractory multiple myeloma. Bank of America downgraded Karyopharm Therapeutics from Neutral to Underperform. CoreLogic, Inc. (NYSE: CLGX) dipped 9.31 percent to close at $36.83 following Q4 results. Vicor Corporation (NASDAQ: VICR) shares fell 9.03 percent to close at $34.15 following Q4 results. Zynex, Inc. (NASDAQ: ZYXI) declined 8.33 percent to close at $4.9500 following Q4 results. Health Insurance Innovations, Inc. (NASDAQ: HIIQ) declined 8.02 percent to close at $39.43. Health Insurance Innovations is expected to release Q4 results on March 6. B. Riley FBR downgraded Health Insurance from Buy to Neutral. Axon Enterprise, Inc. (NASDAQ: AAXN) dropped 7.85 percent to close at $55.49 after the company reported worse than expected Q4 EPS results. Immersion Corporation (NASDAQ: IMMR) shares fell 5 percent to close at $9.13 after reporting Q4 results. B. Riley FBR downgraded Immersion from Buy to Neutral.